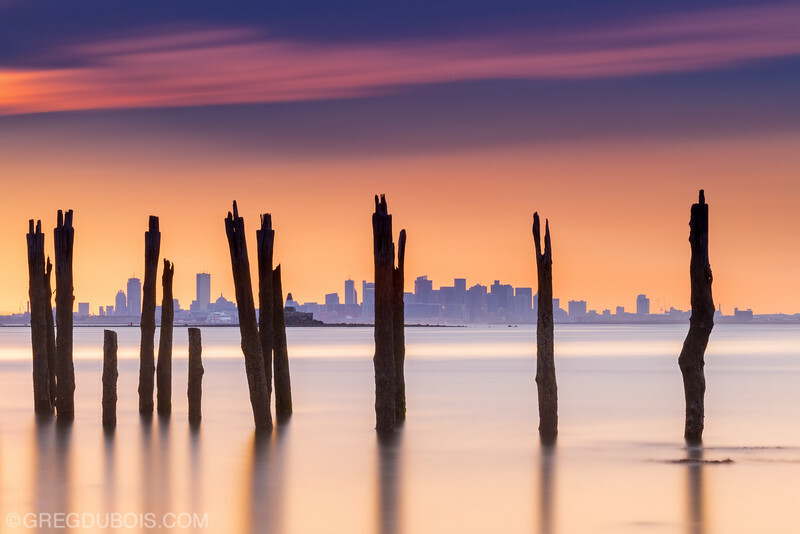 I had the pleasure of camping on Lovells Island (part of the Boston Harbor Islands) which has some incredible views of the Boston Skyline. This angle through decayed pilings at low tide can’t be beat. There was a cool mist on the water, I presume from boat traffic. I took this while we had a fire cranking on the beach, it was such an awesome night! I highly recommend visiting the islands http://www.bostonharborislands.org/ .